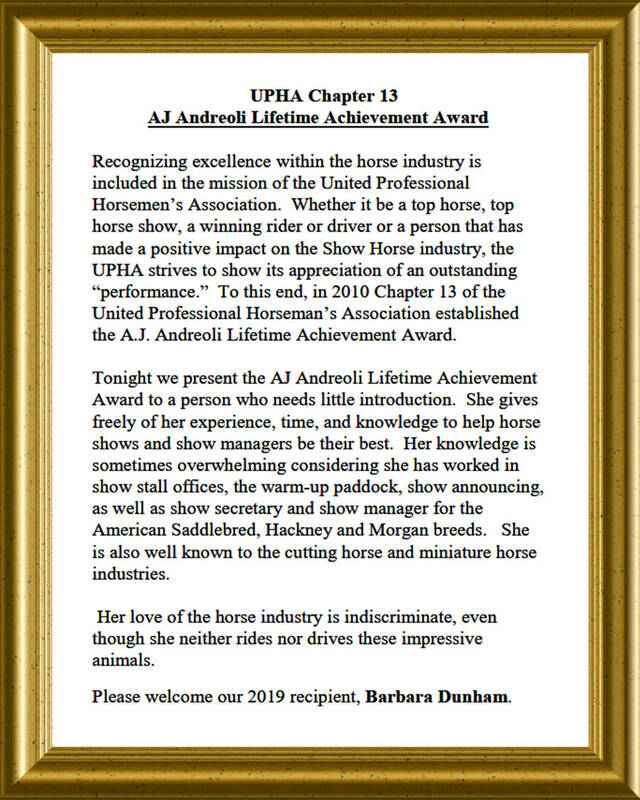 Courtesy of Daborah/Saddle Horse Report the trainer bringing and showing the largest number of horses during the show will receive a full page color ad in Saddle Horse Report. National Horseman is awarding every championship winner a $100 advertising certificate to help us celebrate our 75th Anniversary. To Help Celebrate The 75th Anniversary Of River Ridge Horse Show, The Bluegrass Horseman Is Sponsoring A Tack Room Contest. Contest Will Be Held Thursday Afternoon, Immediately Following The Afternoon Show Session. Tacks Rooms Will Judged On Overall Look, Cleanliness, Efficiency, And Creature Comfort. Friday evening from 6:30 - 10:00 you will find Jason Hay Caricature Entertainment in the vendor area of River Ridge (Gilligan Complex). They will be offering FREE Face painting and Caricature's. 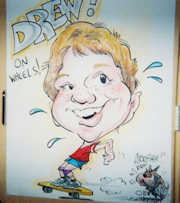 Jason is a feature artist at many of the amusement parks in the US. 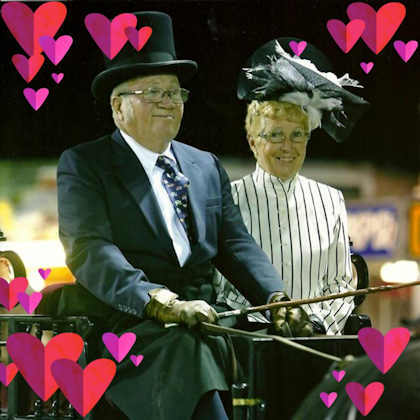 New this year will be live color commentary, historical tidbits and interviews conducted by Brendan Heintz of the popular Facebook based "Around the Arena Horse Show Nostalgia" and featured both on our livestream and on Twitter. when Juanita Barricklow passed. She will be missed. This price includes putting down the shavings you purchase from Kuhlwein. Shavings will be $8.50 and are the larger bags, not the small ones seen at some other shows. River Ridge is a qualifying competition for this year's ASHA High Point Awards and the Kentucky State Fair's World's Championship Horse Show. 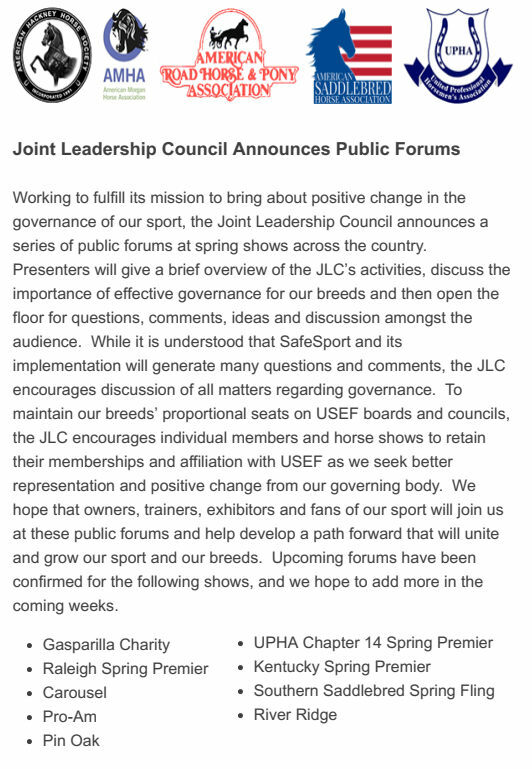 More information can be found at www.saddlebred.com. Howie Schatzberg will once again be our photographer. There are advertising opportunites on the webcast video page. The Fetzer Face will be helping us celebrate our 75th year. Contact Kathy Boggs to schedule appointments. Vendors Considering the Gilligan Complex. Only 10 spaces are available in Gilligan Complex. The Vendor Application form is now on the VENDOR page. All money goes to Camp Hamwi - Camp for youth with Diabetes. Tickets may be obtained from Skip Shenker or in the horse show office. By phone: call 614-884-4400 during business hours Mon-Fri 8:30am to 5pm. Donate online by clicking on logo above. 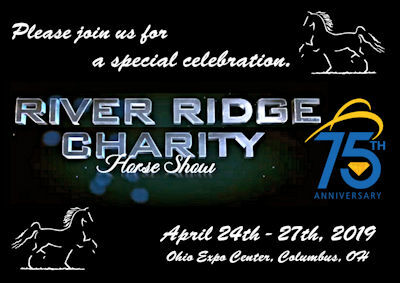 "referred by River Ridge Charity Horse Show"
contact Evette Moody for more activities. They will be posted here when announced. on Friday evening during Progressive Party. Sponsored by Cape Cod Farm and Seldom Seen Farms. by hosting Pizza in the office area. We have been serving RR Exhibitors for many years and hope to continue. Come Join us before your journey home. Looking for more auction items! 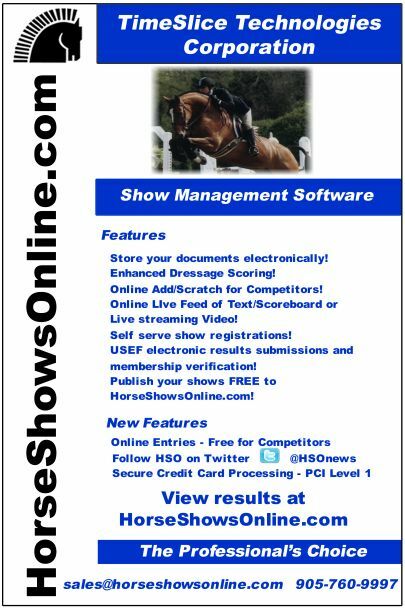 Proud to use Horse Shows Online to keep you updated! Need a layover coming or going from the west? Send us your thoughts, suggestions, and ideas! We want to hear from you.